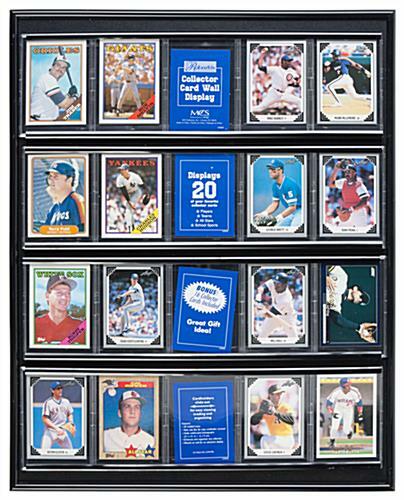 This Baseball Card Display Trophy Case Is Perfect For Wall Mounting! 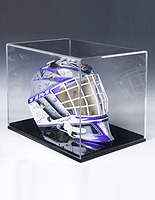 This Black Holder Is Great For Sports Or Media Trading Cards! 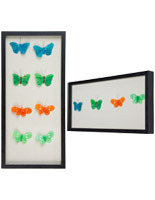 Wall-mount frame has black finish, flexible side frames and (20) individual pockets. 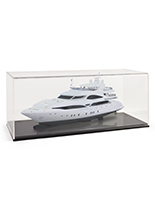 Clear acrylic card-holders slide in and out for easy rearranging as needed. Perfect collector's showcase comes with (16) baseball trading cards in full color. 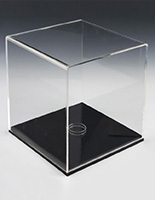 This baseball card display trophy case has 20 clear acrylic protective pockets that hold 3" x 4-1/4" trading cards, photos or ticket stubs. 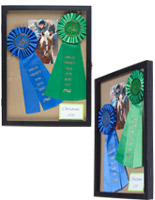 This memorabilia holder has an attractive black finish and comes with pre-attached brackets for wall mounting. 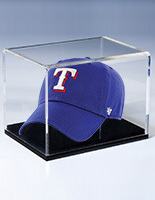 This versatile storage cabinet, 20-pocket baseball card display trophy case features a slide-in design that allows the displays to be easily rearranged. 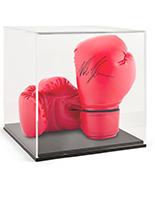 This type of showcase is ideal for displaying anything from collectible sports trading cards to movie tie-in cards to old-school bubble gum cards and more. 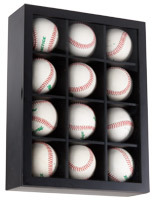 This black baseball card display trophy case, also known as a wall shadow box, has a stylish design that will complement any home, office, gallery or retail establishment.